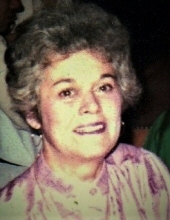 Gladys M. Rose, age 92, formerly of Bridgeport, passed away Friday, January 25, 2019, at Ludlowe Center. She was born in Bridgeport on August 10, 1926, the daughter of the late William and Gladys (Lomme) McMenamey and lived in Bridgeport for the majority of her life. She was a graduate of Central High School and Booth and Bayliss Business College and worked at A.W. Burritt Lumber Co. and General Electric before becoming a devoted, stay-at-home mom to her four children. She was a life-long, avid reader, enjoyed a number of crafts, including knitting & ceramics, and had a great flare for decorating, taking great pride in her home. After raising her children, she worked for GE in Bridgeport for over 20 years, holding a number of positions, the last of which was as a buyer, and garnering a number of awards for her suggestions and accomplishments. She travelled extensively later in life, both domestically and internationally, visiting most of the continental US, plus Hawaii and Alaska, most of Europe, and Japan. After retiring, she was an active member of AARP, serving as the Treasurer for the Bridgeport Chapter for a number of years. However, her main focus was always on her beloved children and grandchildren. Gladys was predeceased by her beloved granddaughter, Jeanette Lynn Polard, and her sister Klaire Quigley. She is survived by her children, Patricia Rose of Trumbull, Deborah Rose of Milford, Nancy and her husband Peter Pateracki, and John B. Rose II; her grandchildren Lise Polard of Trumbull and John Z. Rose of Schaumburg, IL; her siblings, Marion Tobin of Bethel, William McMenamey II and his wife Shirley of Trumbull, and Virginia Maloney of Southbury as well as numerous nieces and nephews. A Mass will be celebrated on Saturday, February 9, 2019 at 10:00 a.m. at St. Andrew's Church, 395 Anton St, Bridgeport. She will be buried at St. Michael’s Cemetery with her parents at the convenience of the immediate family. To send flowers or a remembrance gift to the family of Gladys Rose, please visit our Tribute Store. "Email Address" would like to share the life celebration of Gladys Rose. Click on the "link" to go to share a favorite memory or leave a condolence message for the family.